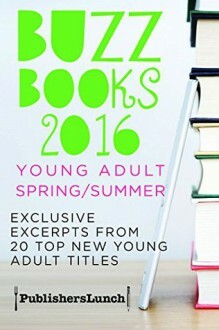 This fourth edition of Buzz Books: Young Adult provides substantial pre-publication excerpts from 20 forthcoming young adult books. Now everyone can share the same access to the newest YA voices the publishing industry is broadcasting for the spring/summer season. You will find a full range of YA titles previewed here—romance, fantasy, humor, literary and the first installment of five new series. Excerpts include new work from established giants of the field: David Levithan, Richelle Mead, Matthew Quick, and Maggie Stiefvater. From John Corey Whaley and Kimberly McCreight to Kiersten White and Alyson Noel, this latest edition of Buzz Books: Young Adult has must-read selections from eight New York Times bestselling authors. As always, many Buzz Books are sure to make bestseller and “best of” lists. Start reading some of the best future books right now, and then share the fun by telling your friends and family to download this free edition of Buzz Books for themselves at any major ebookstore or at www.buzz.publishersmarketplace.com. For even more great reads, be sure to download Buzz Books 2016: Spring/Summer, also available now, for the best in adult fiction and nonfiction.